Don't use the IMG tag's at all, this REPLACES that! The file is too big, maximum allowed size is 300 KiB. Tried the attach thingy and it works as good as everything else I do. Ryan, your work here convinced me to finally get a Photobucket account. I just posted a bunch of KSAs using this new tool. Made it really simple, so I wanted to say thanks. Keep checking your mail for that free gold I'm sending. jcz1 wrote: Ryan, your work here convinced me to finally get a Photobucket account. I just posted a bunch of KSAs using this new tool. Made it really simple, so I wanted to say thanks. Well I am glad someone was able to use it for something good - thanks for the feedback! FYI - I know you do have my address, so I will wait by the mailbox nightly! Last edited by Ericson Mint on Fri Nov 07, 2014, edited 3 times in total. 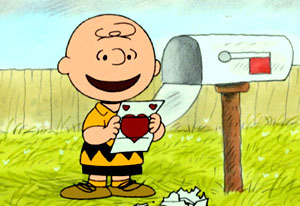 Just like Charlie Brown, waiting for Valentines every year. Not your fault I'm an idiot. What would be nice is if you could just put the max width number in but not the height, and it would just adjust it to scale. Width is always the limiting factor on this site. Then you wouldn't have to do the math to figure out what the height should be to keep your picture from getting distorted. What would be even sweeter is if there was a button that you could paste in the link and it would automatically adjust it to scale with max width = 585. I can not figure out where you upload an attachment. silverbender wrote: I can not figure out where you upload an attachment. Thanks ,I`m used to seeing it in the tool bar. vertical scrolling arrows when I post. Even when it is in the size requirements. Only attached photos are restricted to a window. If the image is larger then you'll get the bars.